There are now so many different makes and models of vehicles to choose from these days and if you are in the market for a new vehicle, this task can quickly become very overwhelming. One vehicle that is very practical for a number of people, is the Jeep Wrangler. It is durable and rugged for people who plan to take their vehicle off-roading or on some harsh terrain. But also, if you are going to be driving to and from work each day, or this will also be a family vehicle, the interior is very high end and luxurious. This is a big change from the original design and purpose of the Wrangler. 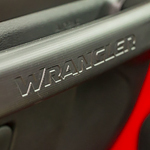 The interior of the Wrangler has an option to be completed suited in leather. You can select from a modest 7 inch display on your front dash, or upgrade to a 8.6 inch, touchscreen version. Stop down to Leckner Chrysler Dodge Jeep Ra to take a closer look!